Swaziland (now eSwatini) is the kind of country that has a little bit of everything. Something for every traveller. And the same can be said of its hotels, lodges and other accommodation. Before we headed to Swaziland with South African Airways, I wasn’t really sure what to expect for our accommodation. I’d never been to Southern Africa before – I’d never even crossed the equator! – and had nothing to compare it to. 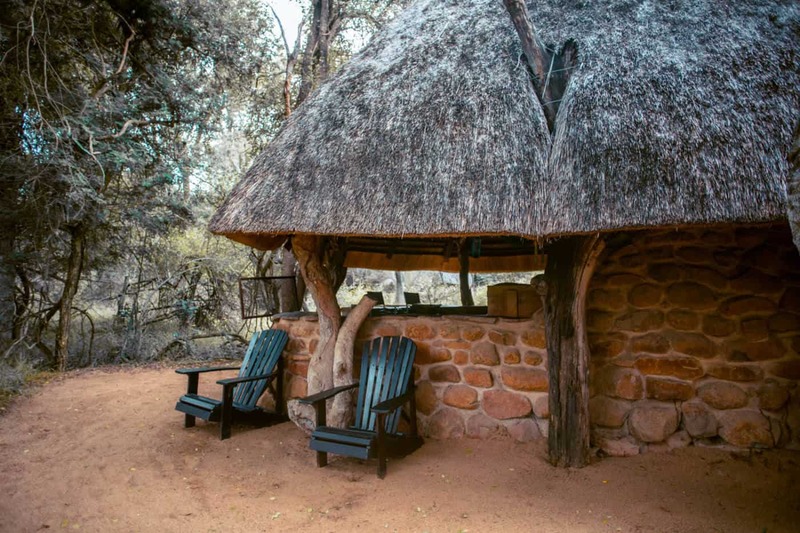 But from the first night, when we stayed at Phophonyane Falls Ecolodge, it became clear that this small southern African country has a lot of options for every kind of traveller. 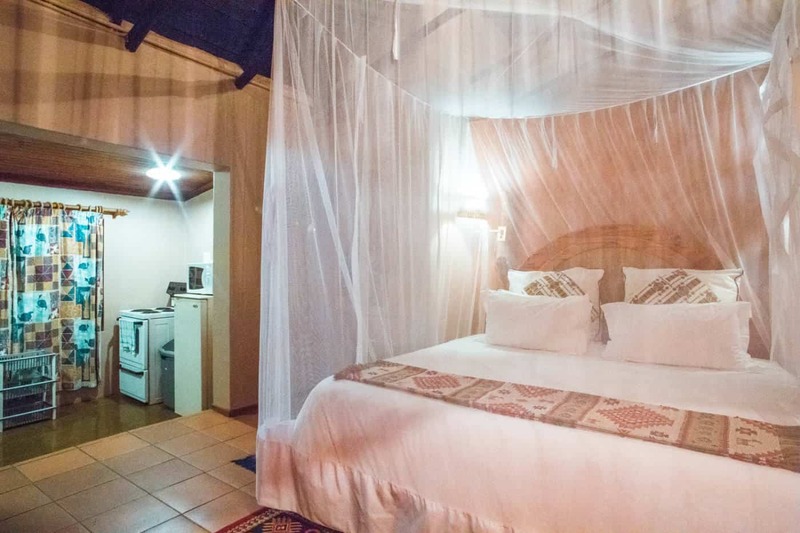 Accommodation in Swaziland is as diverse as the country itself, with lots of unique places to stay – and that alone is reason to stay longer than the day or two that most visitors spend here. 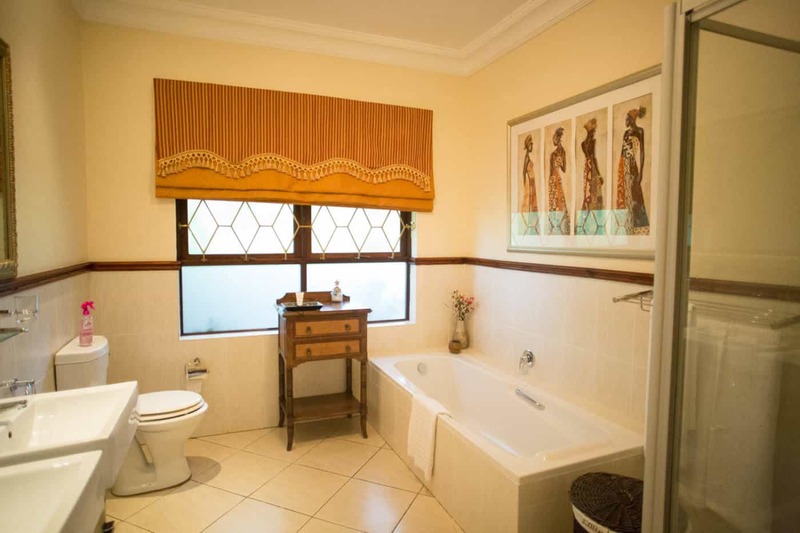 Here is some of the best accommodation to check in to during your trip to Swaziland. If you’re heading to Swaziland for the first time, you might be surprised by how much luxury you can enjoy on your trip. The Foresters Arms is a large family-run hotel set in a scenic landscape just outside of the capital, Mbabane. With spacious rooms and a homely restaurant area, it’s the kind of hotel where you can unwind and take a break from an intense week of travel. Which is just as well because it’s the kind of hotel where you’ll want to spend some time, rather than just resting your head for the night. There’s a pool, sauna and family-friendly games area, as well as the option to go horse-riding in the surrounding area. If you do decide to spend a day at the Foresters Arms, make it a Sunday. The hotel is famous for its Sunday lunch buffet, which includes tables of salads, barbecue meats, desserts and many local specialities. And all of it is DELICIOUS. Click here to check the best rates and book. I’ve already talked about the accommodation at Mkhaya Game Reserve in my post about the most unique things to do in Swaziland, and this was certainly the most unique place we stayed during our week there. All I can say is: spend a night at Mkhaya Game Reserve and you won’t regret it. After an evening of feasting, singing and dancing round a campfire, you’ll stay in a room with no walls, no windows and no doors. You’ll fall asleep to the sound of nature. And you’ll probably never forget the night you slept in the bush. At 5:30am, you’ll be woken by one of the women who work at the camp. She’ll bring a tray with tea, coffee and a muffin to your room to wake you. After you’ve enjoyed it, you can head out on a sunrise safari to see some of the animals that roam freely around the park up close. If you love animals and want to feel as close to nature while still enjoying a little luxury, book in to Mkhaya Game Reserve’s camp. 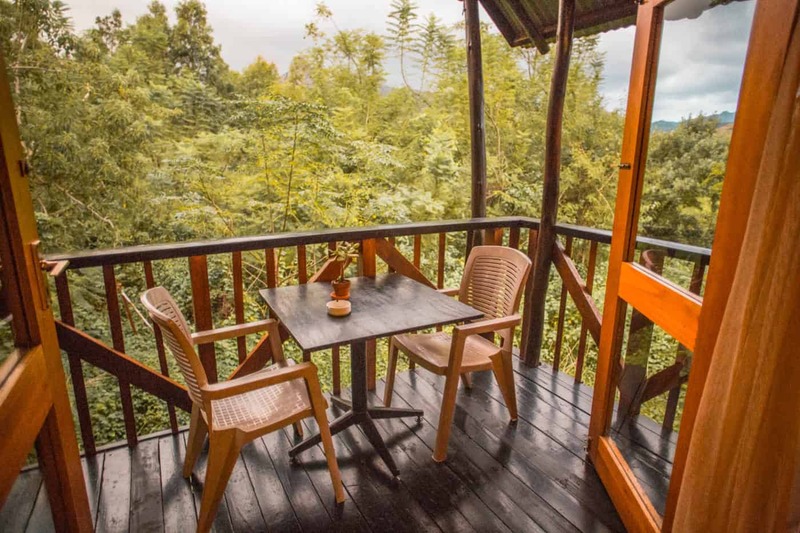 Phophonyane Falls Ecolodge is nestled away among rows of blue rubber trees, but don’t be fooled by the dirt track road in: you’re in for a very comfortable night’s sleep. We didn’t come across a hotel in Swaziland that wasn’t incredibly comfortable and hospitable, but what makes Phophonyane Falls Ecolodge unique is the choice of accommodation styles. 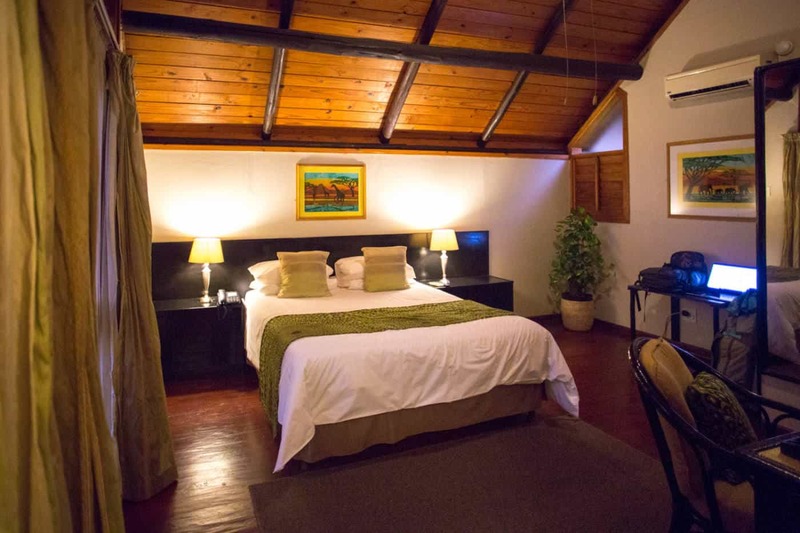 There are three types of accommodation to chooses from: cottages, beehives and tents. If you’re looking for a homely place to lay your head, book yourself into one of the Phophonyane cottages. These spacious cottages come with their own kitchens, impressive bathrooms and two of the three cottages have two storeys. 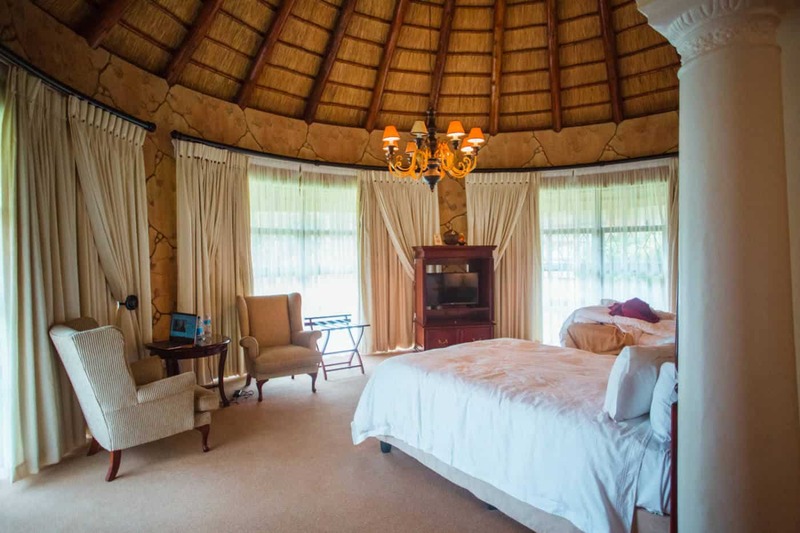 If you’re after a more traditional Swazi experience, check in to a beehive. These Swazi hut replicas are designed in the same way as traditional Swazi homes, but still come with electricity and en-suite bathrooms. Your final option is a tent, which is also more glamorous than it sounds. Although the tents are the most basic of the options, they also come with electricity outputs and en-suite bathrooms. Although all rooms have electricity, WiFi is only available in the restaurant area and gets switched off at 8PM sharp – so make sure you catch up on work or with loved ones before that happens! If falling asleep to the sound of a thunderstorm beating on a wooden roof and waking up to the sound of monkeys playing in the distance sounds good to you, Mantenga Lodge is somewhere you’ll want to be. Hey, it even made me enjoy a storm – and that doesn’t happen often! Once you’ve checked in for the night, head to the lodge’s restaurant to enjoy some local Swazi cuisine with beautiful treetop views, then wake up to the same views in the morning. Mantenga Lodge is perfectly located for visiting lots of the best things to see in Swaziland, including the Swazi Cultural Village, the King Sobhuza II Memorial Park and the Swaziland National Museum. 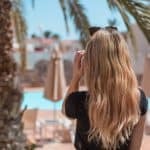 Click here to find the best rates and book. Without doubt the most luxurious of our accommodation in Swaziland, Summerfield is a resort built within Swaziland’s only botanical garden. 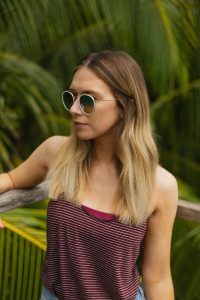 The entire resort, from the tiling to the furniture, has been designed by its owner, John Carmichael, and the love that has gone into building it is clear. The rooms at Summerfield are incredibly spacious and super luxurious, with traditional thatched roofs to remind you where you are. If you’re looking to make your trip to Swaziland as luxurious as possible, Summerfield should be the first hotel you book. Summerfield is another great place for a mid-trip break or just to soak up some nature. 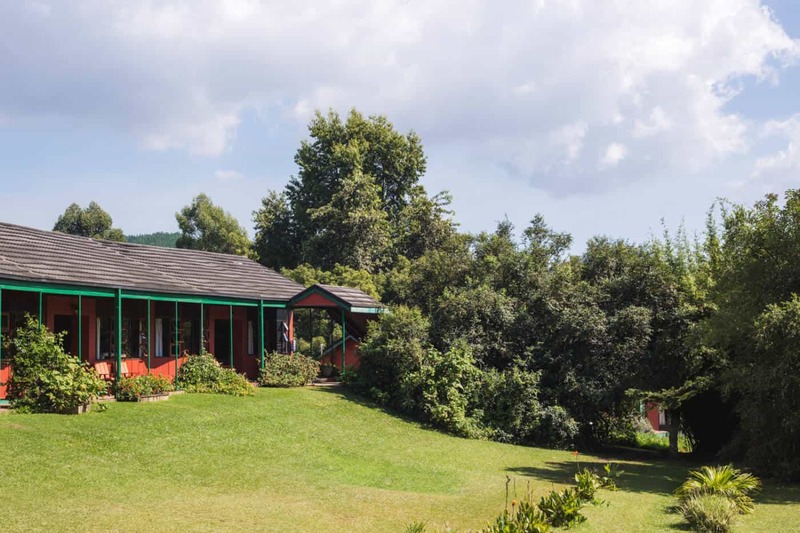 You’ll almost definitely want to visit the nearby Milwane Wildlife Sanctuary for a bike, horseback or walking safari, but make sure you leave some time to enjoy the gardens and the pool.